I would like to alter the login I'm Using this command Alter USER [dbo] WITH LOGIN = LoginName and its giving me this error Msg 102, Level 15, State 1, Line 1 Incorrect syntax near 'LOGIN'. The former will give you Msg 102, Level 15, State 1, Line 1, the latter will execute. The "WITH LOGIN" clause was added to the [ALTER USER] statement in SQL Server 2005 SP2. What version of SQL Server are you using? : http://msdn.microsoft.com/en-us/library/ms176060.aspx OK, you're using SQL2005 SP3. My next query is about the user - dbo? Can you use the same syntax with a different user IT? ALTER USER [dbo] WITH LOGIN = LoginID has to be unquoted. Don't you love consistency? did that session cover goblins, Loch monsters and helpful recruiters too? 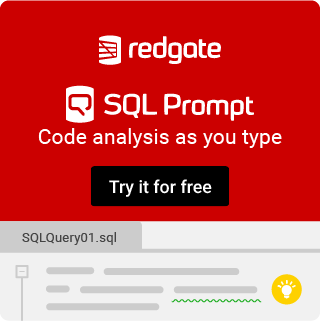 What is the ACTUAL sql you are trying to execute? Do you have a USER name 'dbo'? @oau This is a huge risk I would never be willing to take. I don't know what do you mean by "different login name which is a server user", I don't know what does "server user" mean, but it appears that the script to willingly garbage existing system account is an overkill in your situation. Just my 2 cents. @oau Yes, but still, you should not garbage the system account. If you have a server login named MySqlUsr then you can create a new user instead of using the builtin dbo, and map that new user to MySqlUsr login. Make sure that your login is a member of the public server role and if your application requires that the user is a dbo (this is evil, but unfortunately necessary with some third party apps) then make that new user a member of dbo_owner database role. Make sure that default schema of that user is dbo schema, and you should be good to go. The connection string in your app will always have user=MySqlUsr part, so your user will come in with dbo rights and it should be good enough. Otherwise, if you continue with the path you use, you might subject yourself with some obscure errors depending on which service packs/hotfixes are applied to your server in the future. MySqlUsr is mapped to DBO via membership in db_owner role. Add a different user to the role and drop MySqlUsr.